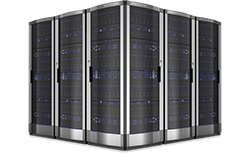 Premium Web Hosting is very important for any business. Usually, people have a misconception to not pay as they can get a free website in no time but it is important to pay for a website so that you can get the best service. Getting a reliable premium hosting company to work for you is a bit hectic task. Because when you are ready to pay for something you usually want the best output from it. But there is no need for you to worry because we are here to provide you with the best in class hosting services. Hostjinni is one of the most famous premium web hosting in India. We always put our customer's requirement first and work hard to provide them with the perfect hosting package that they have always wanted. All our hosting packages are very affordable and the services that come with the packages are best in class. We never compromise on our services and try harder to make our impact on our customers. We guarantee you with the security and the best features in our hosting packages to ensure you that your website is in safe hands. For any business website, it is important to have a great amount of storage as well as bandwidth for the faster loading of pages. Our premium cloud web hosting will make sure that you get good storage space and commendable bandwidth for your website. We know what is important for the customers and focus on delivering the services that they were expecting from us without disappointing them. Bandwidth and Storage are the basic requirements for any website and we make sure that you get both of them in ample so that there won’t be any need for you to worry about them. Everyone is aware of what role a website plays in a company. For any company, its website is the only way to market to the global audience and it is important to have the perfect website. If because of any unexpected issues, your website got crashed or if you are planning to update the site then the main thing that you require is the backing up facility. We provide you with both backup and restore facility so that you won’t worry about the data of your website even if something happens to your website you can recover it in no time in our premium shared hosting.